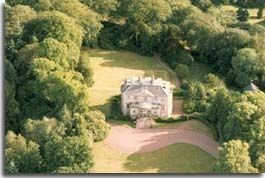 Skeldon Estate, 6 miles east of Ayr, was bought by the wealthy Duke of Portland in 1867. In 1908, the architect James Miller carried out alterations and additions to Skeldon Mansion House for Adam Wood. Skeldon is still run as a working estate with good fishing on the River Doon and shooting in the estates woodlands. They used to offer holidays on the estate, with a self contained cottage and lodge available. There seems to be no website just now.